Pearl Izumi's MTB WRX jacket is meant to be package and lightweight, but when called upon can still shrug off serious impacts and weather. I split my time between school in Montana and my hometown in Washington. While it's been a wet year in the Rocky Mountains, coming home to the Pacific Northwest this winter has been sort of like walking into a waterfall. I looked at the forecast at the beginning of December and saw a 100-percent chance of rain forecasted for the first two weeks of the month. I had high hopes that the Pearl Izumi MTB WRX jacket would rise to the occasion. The WRX is designed to be a packable jacket that can be thrown on when the skies open up mid-ride. Its semi form-fitted cut is baggy enough that it will comfortably fit over pads and/or a thick base layer. 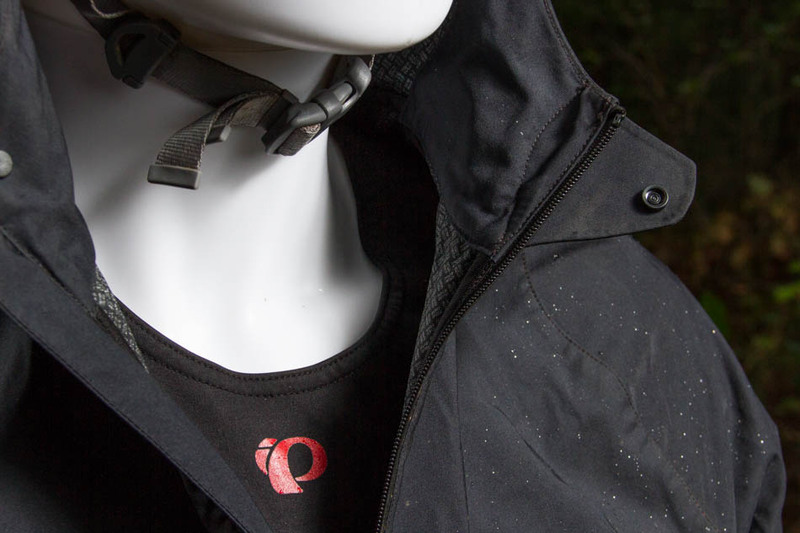 It's made from Pearl Izumi's water- and wind-resistant Barrier fabric, which is also designed for abrasion resistance. I've had a few encounters with terra firma and the WRX remains tear-free. Pearl Izumi added material to the elbows, a high-wear zone, and also made them a little roomier to accommodate pads. The main zipper is waterproofed, and extra abrasion-resistant material is added on the elbows where jackets endure the most stress. At 6'4 and 190 pounds, I don't exactly have an easy time finding jackets that fit. Often the sleeves are too short, the tail comes up too high, the chest is too taut, or I experience a combination of all of the aforementioned. I was pleasantly surprised when I zipped up the WRX (size XL) and found that even hunched over the bars, the jacket didn't feel tight anywhere: The sleeves actually came down to my wrists, and the tail really did come all the way to my tail bone. Even with the hood pulled up and over my helmet, the jacket is plenty long, providing protection from the dreaded mud-crack spray. With all the extra coverage, the WRX still packs down to around the size of a 20oz coffee cup, making it easy to carry. One drawback of water-resistant materials is that they usually don't breath very well. On long climbs a jacket can become a personal sauna, but then on a long descent all that perspiration cools and you become a human ice cube. Pearl’s Barrier fabric doesn't breathe as well as some materials, but given its price it does a pretty darn good job. It's got two massive pit vents in addition to one on the hood–all of which help dump extra heat. If you aren’t over-dressed, the WRX holds its own on the breathability front. On long climbs, things get a bit humid inside, but it's not a plastic bag by any means. The material Pearl Izumi uses stretches and doesn't have that hard and crunchy feeling of some water-resistant jackets. Vents under the arms and on the back of the hood help dissipate extra heat and moisture. One test ride lasted for almost 6 hours in heinously wet conditions. An extended climb in a torrential downpour was followed by a long descent down a trail effectively turned into a small river. My stomach felt like it was being sprayed with a hose while I was descending. When I stripped down my layers at the end of the ride, I was surprised that only the stomach had soaked through, and the shoulders, chest and even arms were dry inside. For a jacket that advertises only water resistance, the WRX goes above and beyond the call of duty. 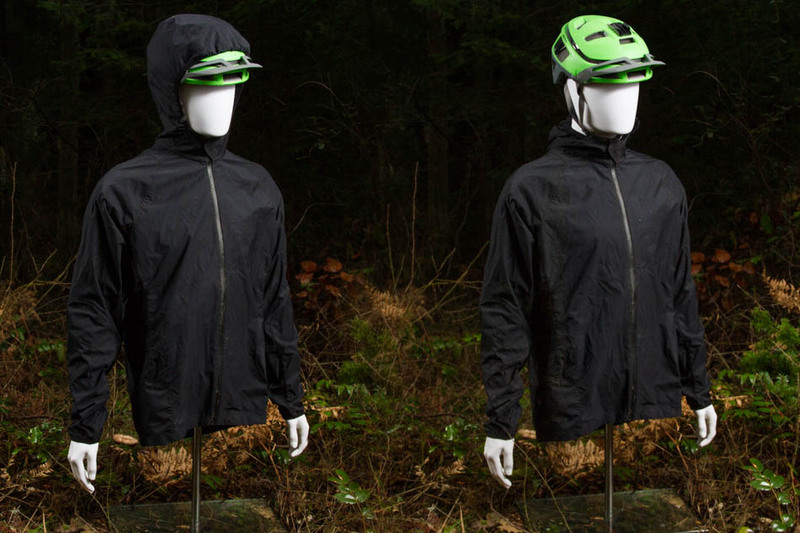 On 90 percent of rides it'll keep you dry and comfortable, and is less expensive and more packable than many of the jackets that offer protection for the other 10 percent of the time. With the hood on or off, the WRX remains long enough to keep your tail covered from spray. The hood is extra tall for use specifically with helmets. Aside from breathability, my only quip with the WRX is that it lacks pockets of any sort. 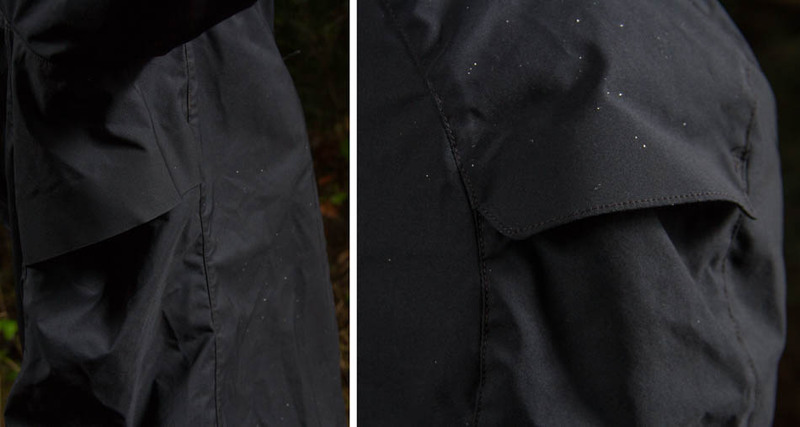 Yes, it was designed to be a lightweight and packable jacket, but seriously, not one pocket? If you ride with a pack or shorts with pockets it's not a deal breaker, but it'd be nice to have at least a small pocket to throw car keys or a phone into. It’s little details like a button closure and full-length internal draft flap behind the zipper that make the WRX feel like more than just an emergency rain jacket. The 2.5-layer material is soft and stretchable for added comfort and mobility. Pearl Izumi got a lot right with this jacket. At $175 the WRX is neither cheap nor extravagantly expensive, but riders can take comfort in knowing that it will consistently shake off falls and scrapes. 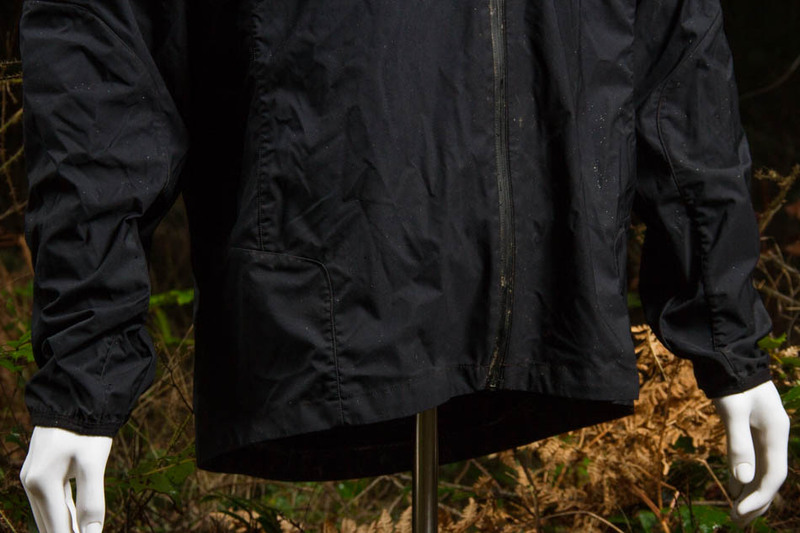 While it's not as waterproof as some hardshell jackets out there, it will keep you dry on all but the wettest of rides, and even on those it will take hours for water to worm its way into the fabric.